Mark your calendars for Sunday, May 5, 2019 and please join us for our Annual General Meeting. Learn about Friends activities, meet directors and consider getting involved with an exciting new project that focuses on the Lally Homestead. The event kicks off at 2 p.m. at the Lally Homestead in the drive shed (ski chalet). The AGM portion will be quick. 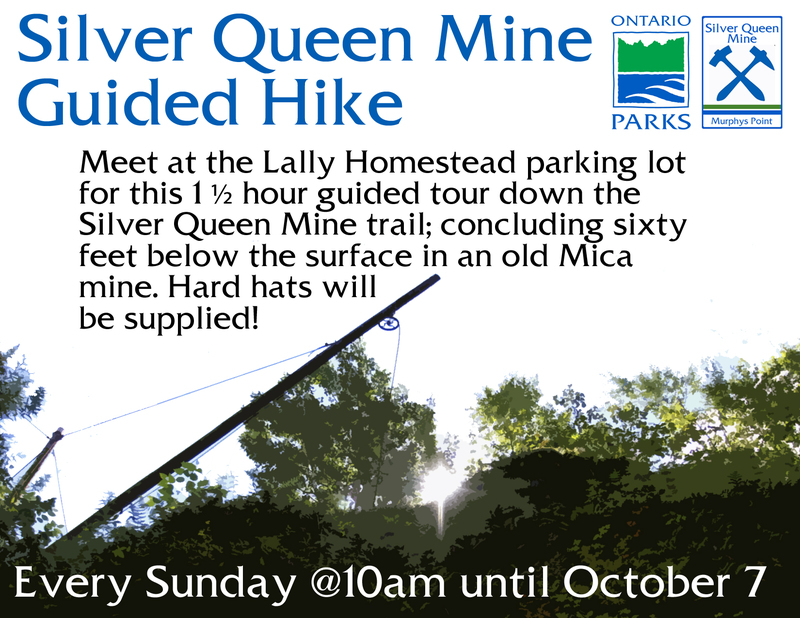 Afterwards, hear about some of the park’s interpretive themes and join us for a walk around the Lally Homestead site and a brainstorming session. We’re looking at the Lally Homestead as a place of living history, a community space, a place to engage nature through the interesting ecology in the area, and a place to embrace Indigenous history. We want to focus on a few specific components and would love to hear your ideas on how to move forward! Come prepared to do a little walking. There will be some light refreshments. For the AGM, paid-up members have voting status at the meeting. Memberships are $10 and can be renewed through the website at https://friendsofmurphyspoint.ca/memberships/ or at the meeting (cash or cheque). Amounts over the $10 membership fee as donations will receive a tax receipt. Please encourage a friend to become a Friend or consider making a donation. Directors will be elected during the AGM. If you’d like to get involved, this is a great opportunity! If you have questions, please e-mail friendsofmurphyspointpark@yahoo.ca. As always, we welcome new volunteers to work on committees and with other projects, so if you are interested in finding out more, be sure to come or contact any director. We hope to see you on the 5th. Bring your friends! Our 2018 raffle winner Leanne Lalonde and her family visited Murphys Point this weekend to collect her prize – an “Escape” 9-foot kayak plus paddle! Shown in the photo below are (left to right) Friends Director Ken Barr (who organized the raffle), Maggie Norris, Friends President Stephanie Gray, Leanne Lalonde, Kevin Norris, Ainsley Norris and Friends Treasurer Don Goodfellow. Special thanks to Perth Home Hardware for the kayak donation, to all of the volunteers and park staff who helped to sell tickets, and to everyone who supported Friends of Murphys Point Park programs by purchasing a ticket! Treasurer Don Goodfellow and President Stephanie Gray drew the winning ticket for the 2018 Friends of Murphys Point Kayak Raffle today at noon at the Park Store. And the winner is…Leanne from Ottawa (ticket 0498)! She was pretty excited! Congrats, Leanne! Thanks to everyone who supported the Friends by buying a ticket.